Create objects of art, emboss picture frames, greeting cards, jewellery, memory books, candle holders, mirrors, furniture and more. These bright metallic coloured foils are manufactured by adding a coloured dye to an anodized layer on the surface of an aluminium foil. Except for traces of dye, they are 100% aluminium. The coloured foils are 'light weight' 2 mil thickness which is approximately four times as thick as a heavyweight aluminium kitchen foil. Extra large sheets- a total of 5 feet (152 cm) in length. A special manufacturing process makes ArtEmboss extremely soft and pliable. Can be cut with scissors. We also stock useful colour coated Craft Wire. 9 1/4" (23.5cm) x 60" (152cm) Light bright metal foil sheet in mint green for embossing arts and crafts. 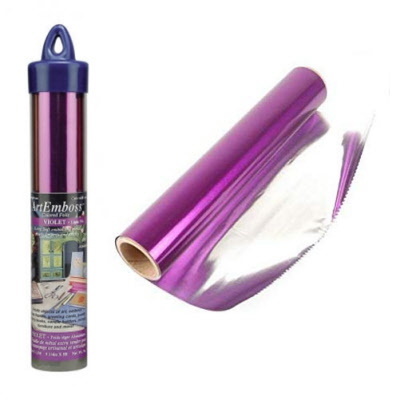 9 1/4" (23.5cm) x 60" (152cm) Light bright metal foil sheet in violet for embossing arts and crafts. 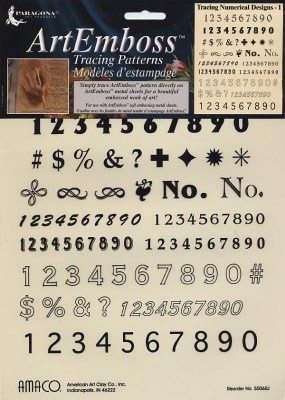 Make beautiful patterns on ArtEmboss soft metal sheets using these pre-printed designs. Printed on durable plastic for longer life, each design can be traced using a stylus tool in minutes. Place ArtEmboss metal sheet on a soft surface, rubber mat or cardboard. 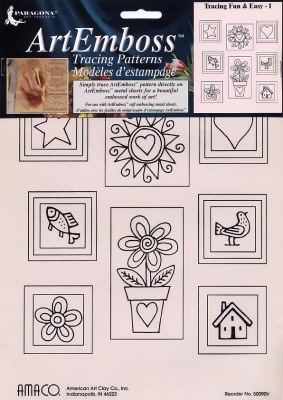 Tape a pattern onto the sheet then trace with stylus. 8 metres of 24 gauge (0.5mm) craft wire.